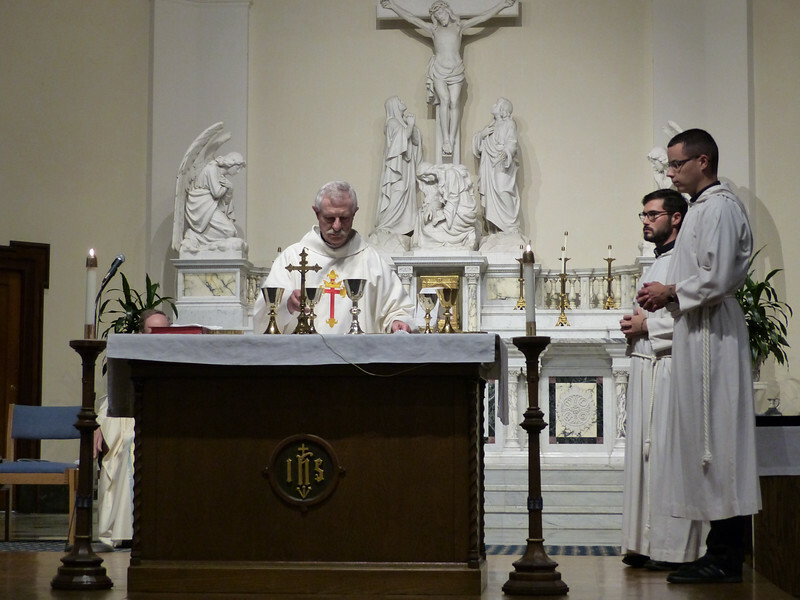 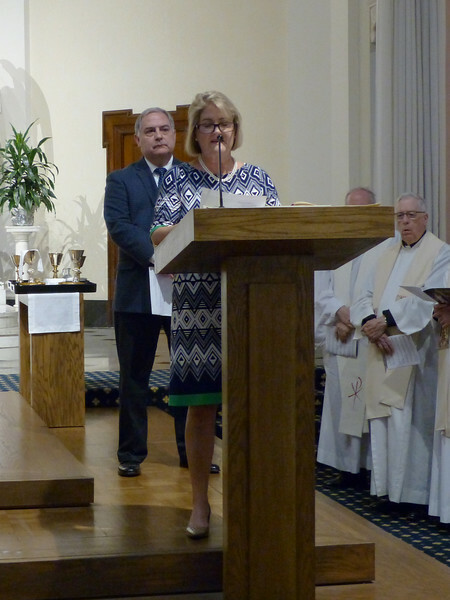 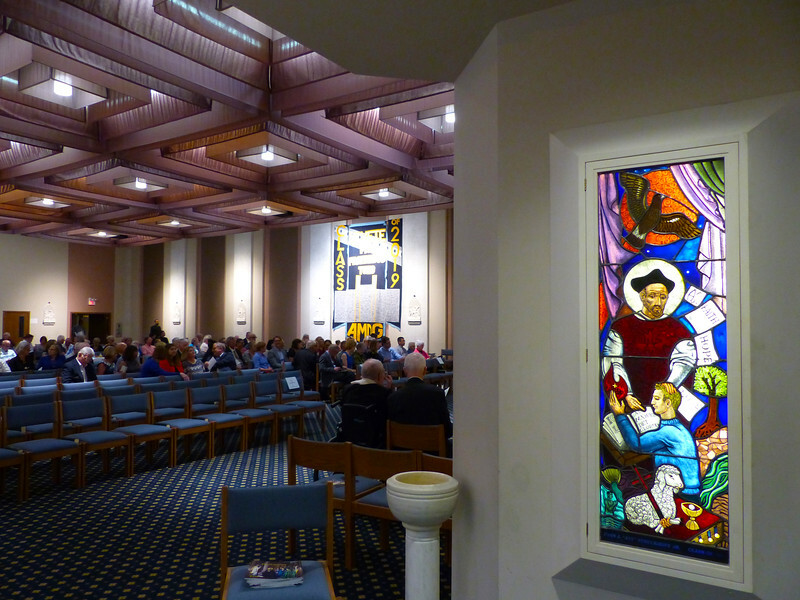 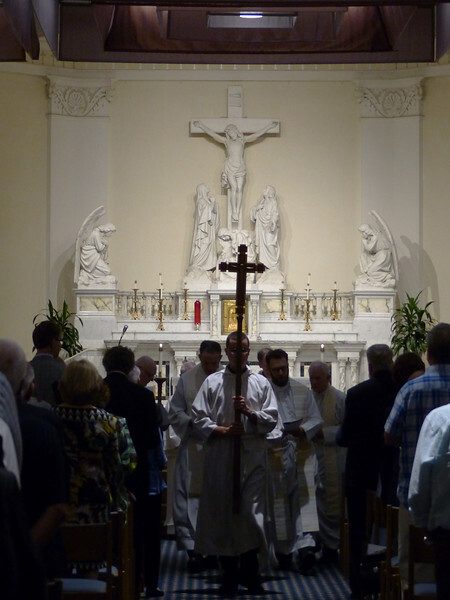 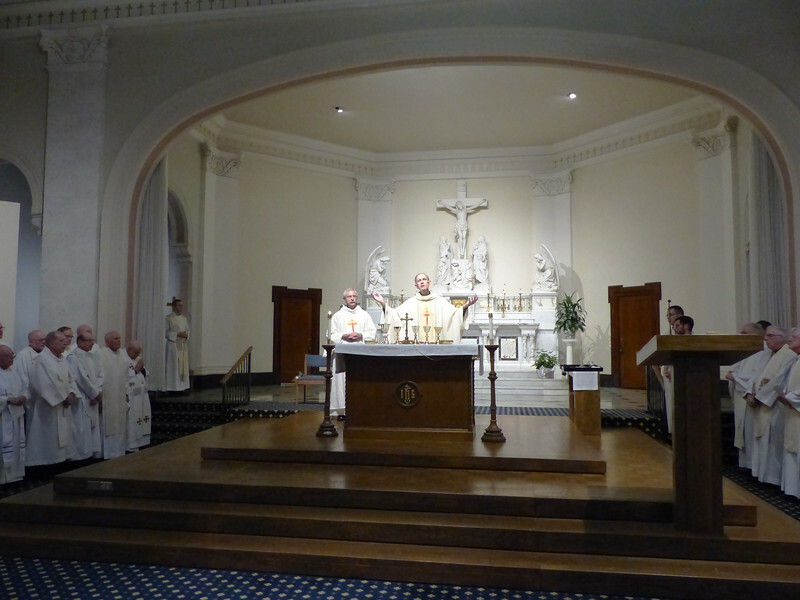 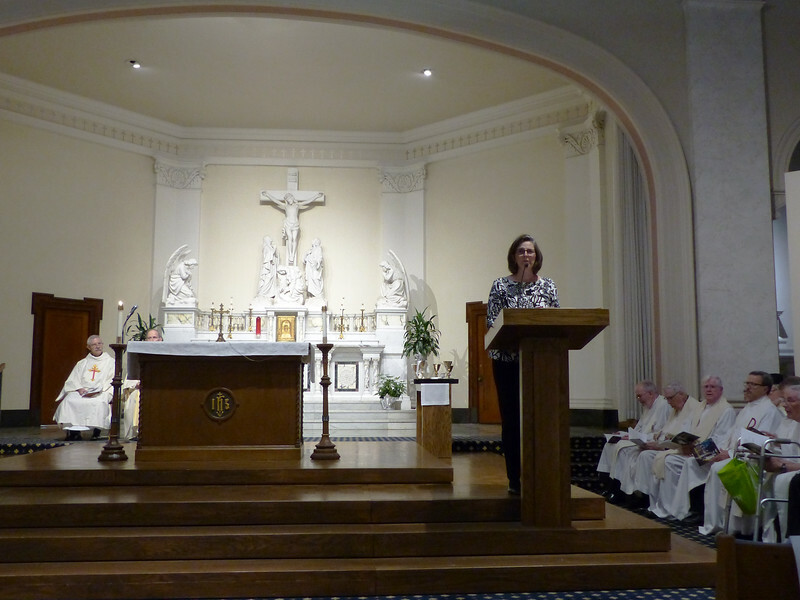 Guests gather in the chapel at St. Louis University High School. 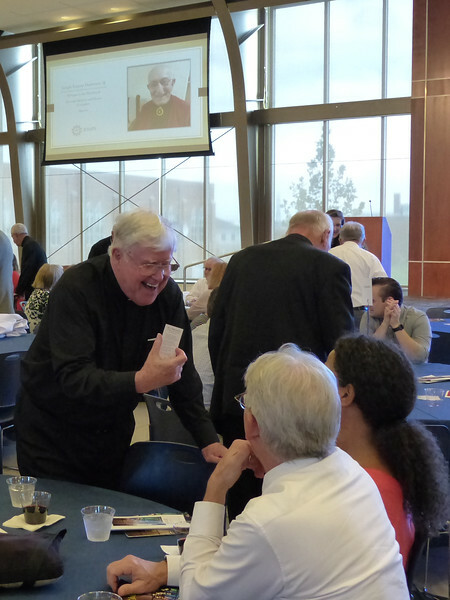 Father Thomas Jost, SJ, shares his Jubilee holy card with friends. 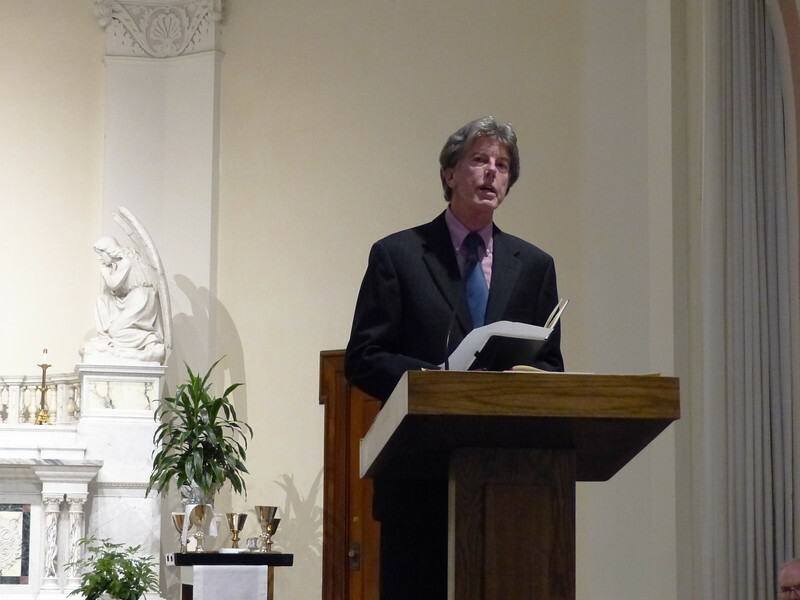 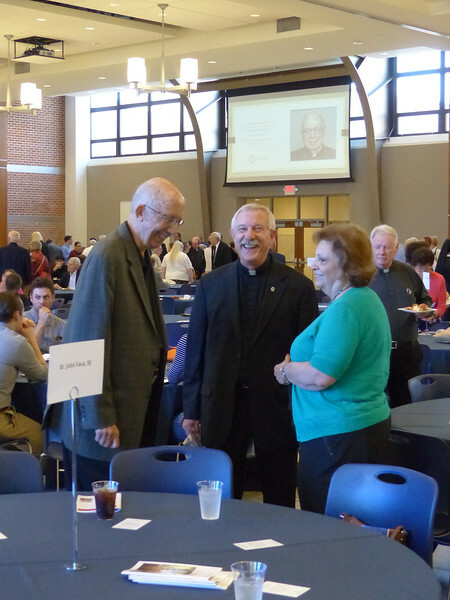 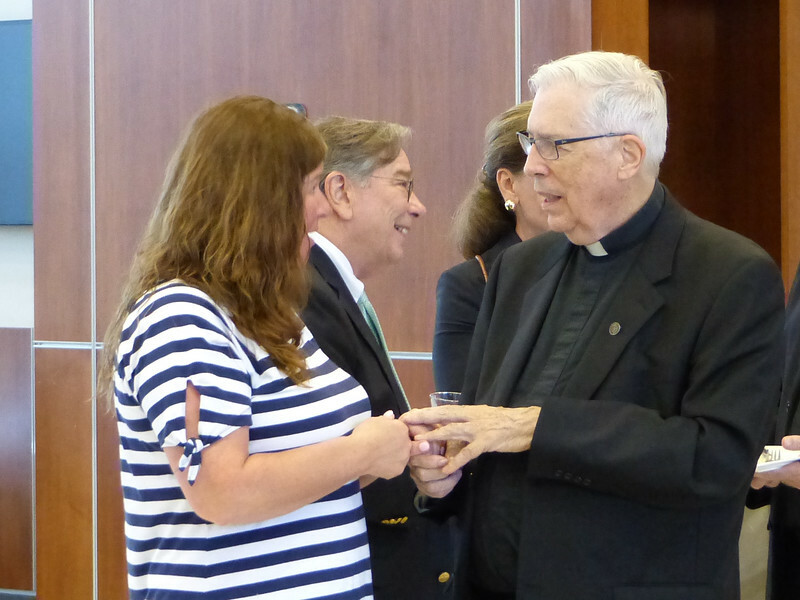 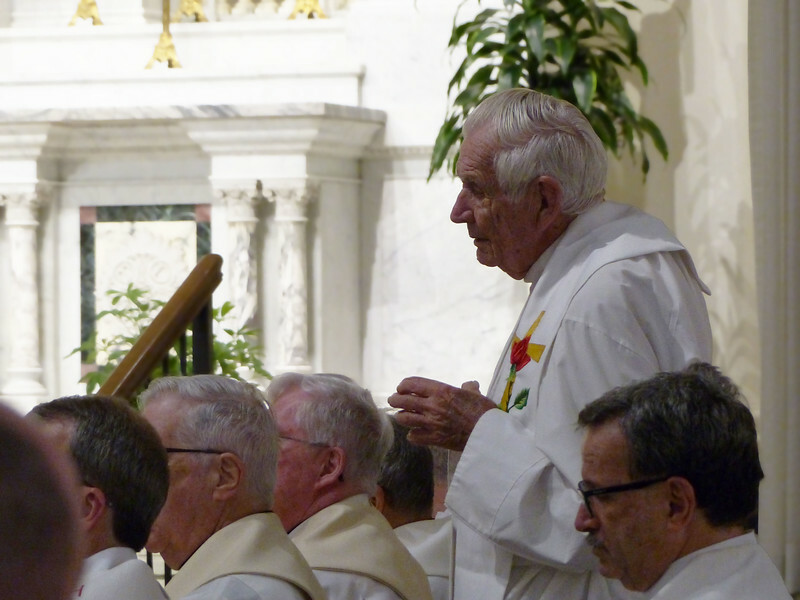 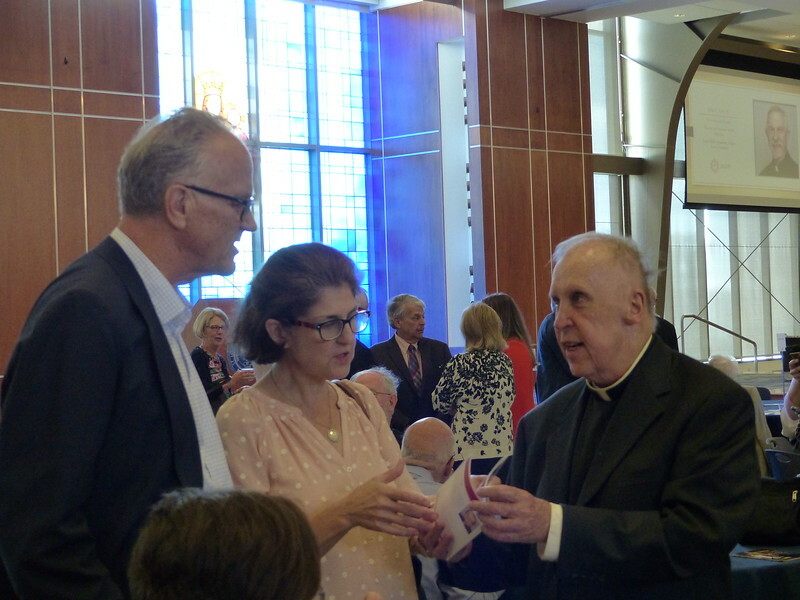 Father Michael Tueth, SJ, shares his reflection on 60 years as a Jesuit with friends. 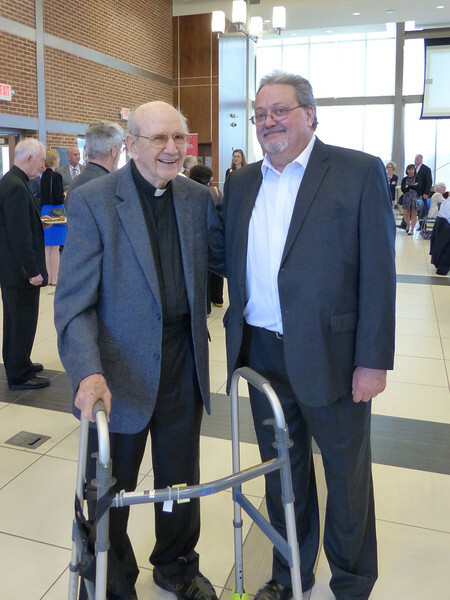 Father Provincial Ron Mercier, SJ, thanks and congratulates Jubilarian Fr. 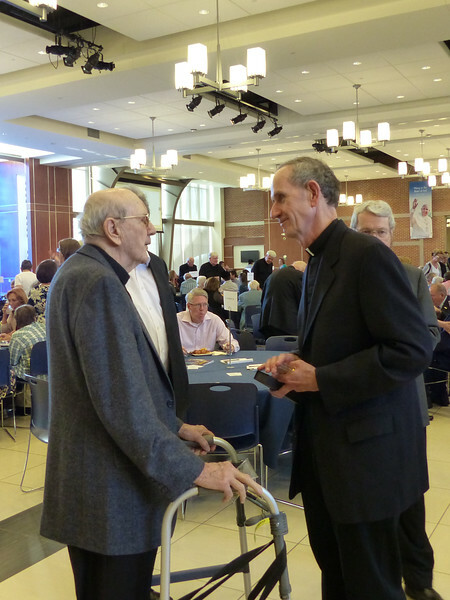 James Short, SJ, for his 70 years of service.